BRACK Thermal Systems, Inc., is an asbestos abatement company located in Altoona, Wisconsin (Eau Claire Area). BRACK Thermal Systems, Inc., has performed over 3,700 asbestos abatement projects with complete customer satisfaction since its inception in January of 1986. We know of no other Wisconsin company that has specialized in asbestos abatement as long as we have. Unlike most of the competition, we focus solely on asbestos abatement. Listen to our past clients. BRACK Thermal Systems, Inc., has a reputation for being a hardworking and efficient company. Because we work harder and smarter than our competition, we quickly finish jobs with the highest quality standards and workmanship. Because of our good reputation, BRACK Thermal Systems, Inc., has been awarded many jobs when we were not the low bidder. These projects were given to us because of our good name. However, we know that cost is extremely important to you, the consumer. We work hard at keeping our overhead down and our productivity up. This is done by hiring and retaining a very able workforce. BRACK Thermal Systems, Inc., will work alongside your architect or project designer, or we can provide you with a complete asbestos removal package. BRACK Thermal Systems, Inc., carries true occurrence liability insurance, which is provided by an A.M. Best, A-rated insurance company. We will also provide you with bonding if requested. We have 31 years of references available upon request, and we would be proud to show you our past work. Call the best in asbestos abatement - call BRACK Thermal Systems, Inc.
At BRACK Thermal Systems, Inc. we provide extensive environmental and specialty contracting services for commercial, retail, industrial and institutional clients. We define the scope of the problem, anticipate your future needs and provide a detailed, turnkey solution for projects of any size. 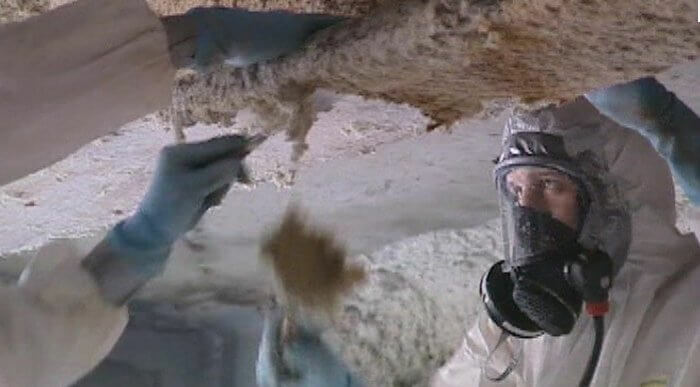 All of our abatement technicians receive thorough training that covers federal, state and local regulations, medical surveillance and all standards for doing a safe and quality job. In addition, all environmental management staff and supervisors receive formal training in an EPA-approved asbestos abatement week-long supervisor training course. BRACK adheres to strict safety standards and invests in state-of-the-art equipment and ongoing training to ensure your project is completed safely, on time and within budget. BRACKS' demolition experts are professionals who care about their crews, their customers and quality workmanship. Drawing from years of environmental remediation experience, our team of environmental specialists and project managers work with you to complete the remediation process efficiently, thoroughly and with minimal disruption to your business.